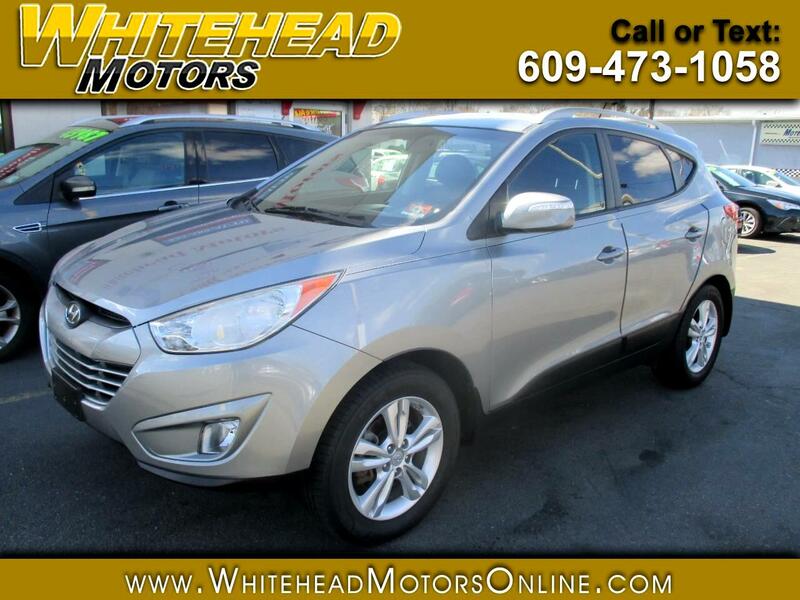 Our Accident Free 2013 Hyundai Tucson GLS AWD is shown proudly in Diamond Silver. This signature Hyundai design will see that you stand out in the busy crossover crowd with exceptional looks and practical features. Powered by a 2.4 Liter 4 Cylinder that produces a generous 176hp while paired to a smooth shifting 6 Speed Automatic transmission. This All Wheel Drive combination helps secure nearly 30mpg on the open road. The European-inspired suspension give you the feeling you are behind the wheel of a sports car instead of a roomy and versatile crossover. With Tuscon, you have achieved greatness on or off-road. The exterior is enhanced by fog lamps, roof rails, alloy wheels, and a rear lip spoiler. Step inside and you will find a spacious and well-built cabin made from quality soft-touch materials. You'll find amenities such as heated leather-trimmed front seats, a leather-wrapped tilt-and-telescopic steering wheel with mounted controls, full power accessories, and a stellar AM/FM/CD audio system with Bluetooth and available SiriusXM radio to keep you connected and entertained. Fold the rear seats down to reveal an impressive 55 cubic feet of room for just about anything you want. Tucson features six airbags, active head restraints, electronic stability control as well as a responsive traction control system. This Tucson is perfect for any and all weather conditions mother nature can dish out. Print this page and call us Now... We Know You Will Enjoy Your Test Drive Towards Ownership! Get Approved In Minutes at Whitehead Motors. We Make Car Buying Easy.